It's great having friends sharing info with me, so I can share these info to the rest of you guys. I run this blog on a personal level and don't treat this like some news site. Anything I post here is usually accompanied by my own thoughts and that's how I like it. I want friends here, rather than fans. So, if I get my info from a friend, I give them credit for it, even if they don't run a website, blog or anything like that. Ok getting to the point.. Lily has shared this pic that she found at the Ubishop. (I can't seem to find it now, must be a different region problem or my eyesight problem). 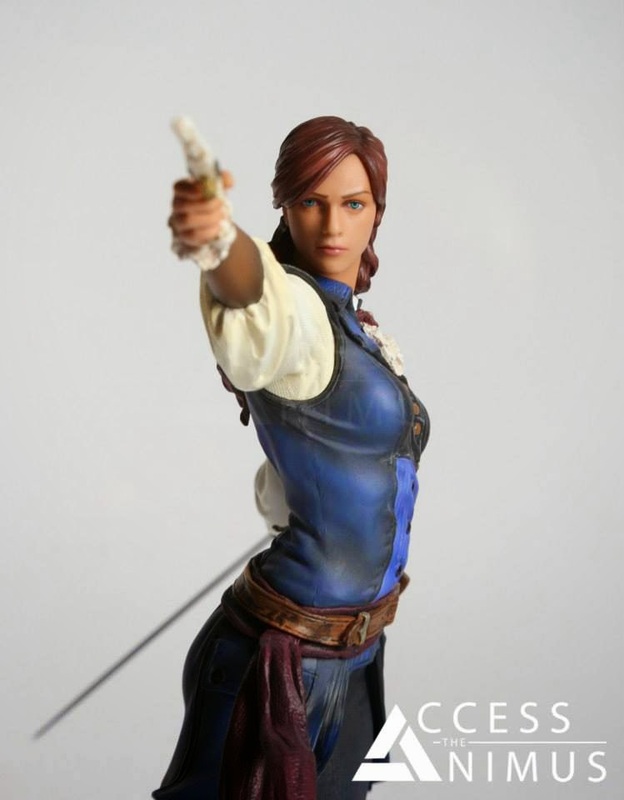 It's believed to be the previously-rumoured UbiCollectibles figurine of Elise from Assassin's Creed Unity. I have already heard about this about a week back, but like what some Singaporeans say... "No pic, No talk.. (NPNT)". 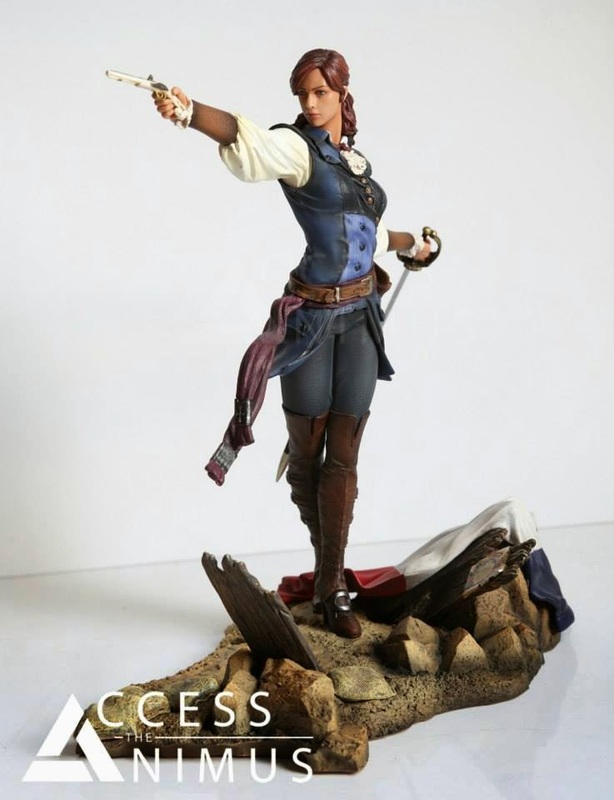 We already saw the BlackBeard figurine which was part of a diorama with the Edward Kenway figurine in AC IV so it's no huge surprise that AC: Unity might have a similar Diorama. So who is this Elise? I have yet to see any concrete sources about who this Elise might be. 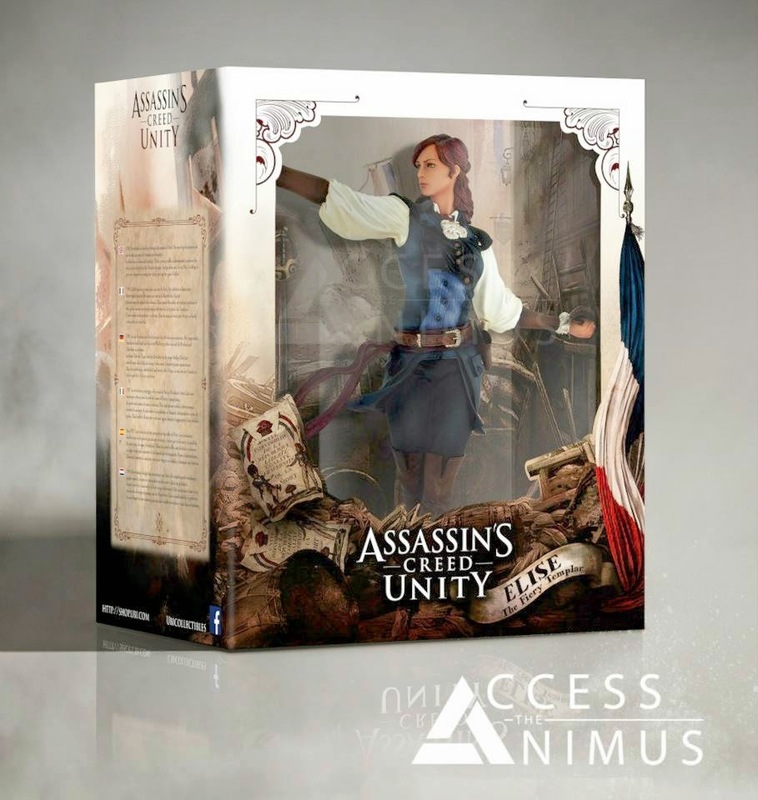 But, there was a Elise Lafleur in AC Liberation, who happens to be French. Timelines of both games suggest that this could be the same Elise, but this is just my guess. 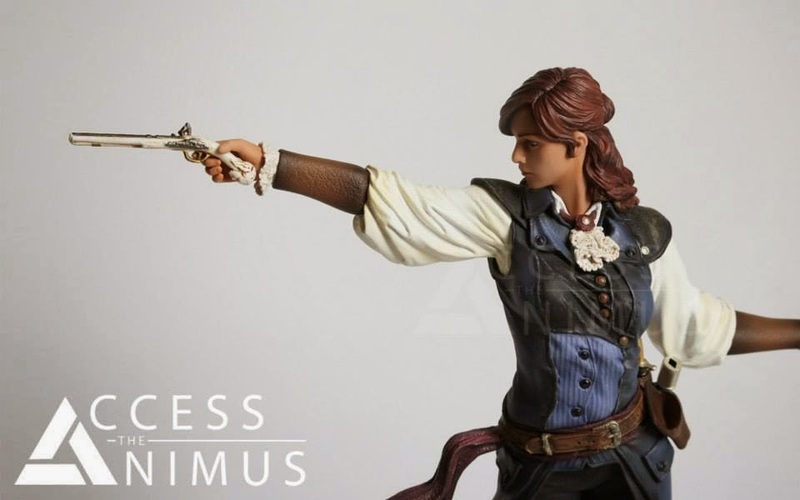 Same Elise or not.. we will be seeing this Elise figurine in the game as well as Figure form. 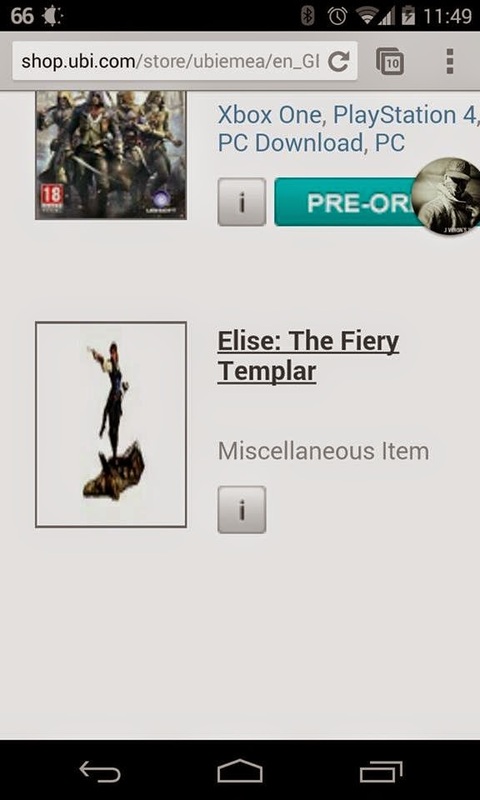 Oh and did I mention the description says, "The Fiery Templar". That raises the question again about what Unity means. The Unity of Assassins and Templars working together towards a common goal or maybe a greater threat? Either way, Ubisoft is doing a wonderful job of teasing us a little each time. Not a lot of detail on the face disappointingly. The BlackBeard one had a lot more detail. Still, I'll b getting it as it looks like she's going to be a crucial part to the game's plot.